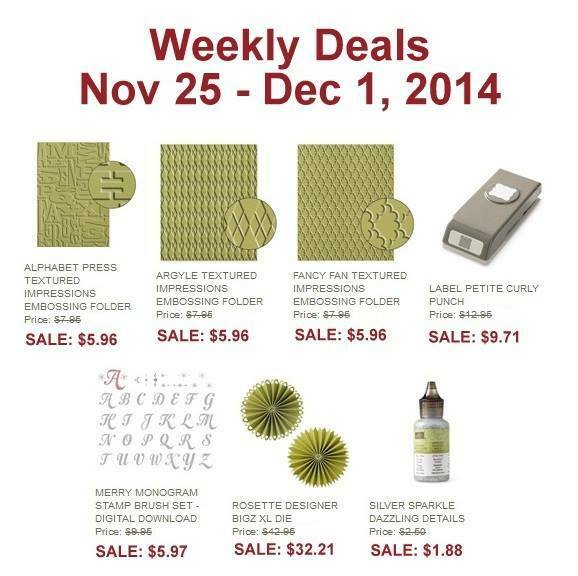 Hey crafters, in case you missed all those embossing folders in the first of the Doorbusters Sales in the SU Extravaganza Sale yesterday, here are a few on the Weekly Deals until Monday, December 1st. I wanted to show you some fun cards, too! of YOUR cards! You da best! 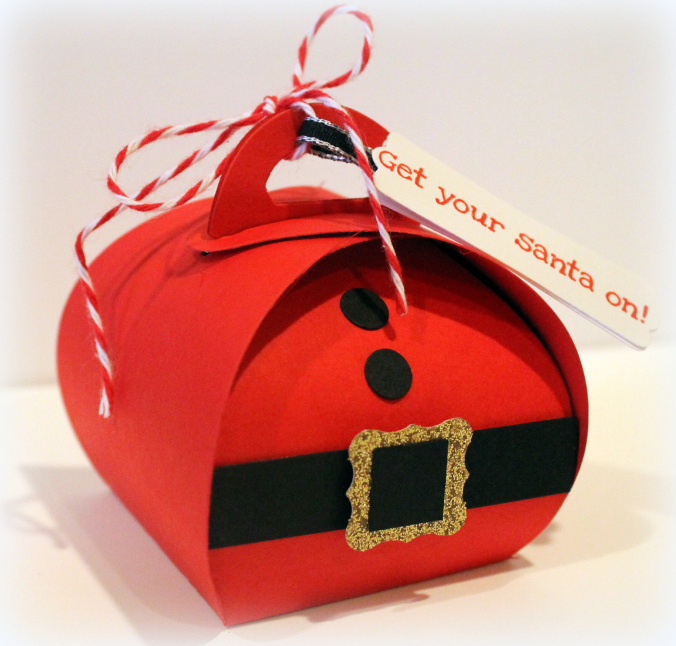 Notice that cute little buckle popped up on the Santa Curvy Keepsakes Box filled with Ghirardelli Squares and peppermint candies? It is the Petite Curly Label punch on the Weekly Deals! Off to get some last minute groceries for dinner… my kids are home for the holidays and think I should be cooking dinner?!?! ONLINE EXTRAVAGANZA Nov. 24 – Dec. 2 !!!!!! 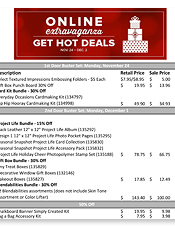 amazing DOORBUSTERS on Nov. 24 and Dec. 1. 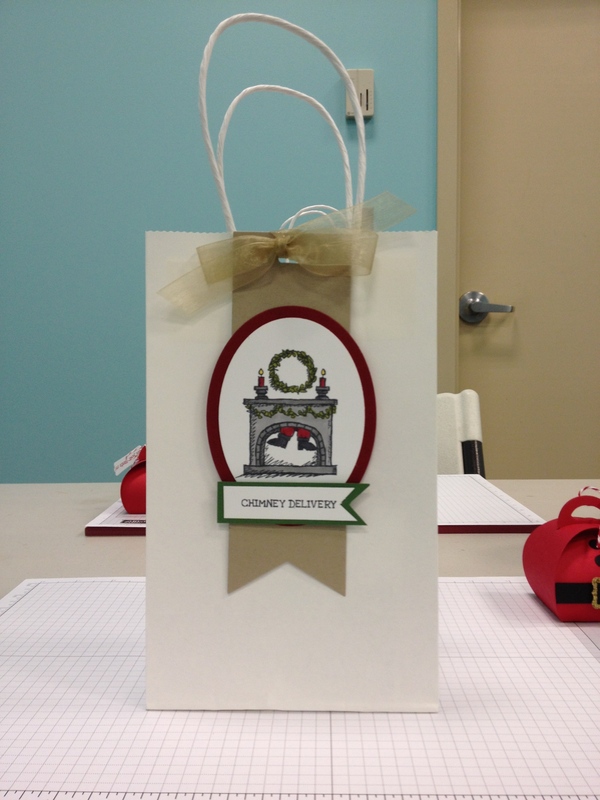 Don’t forget about the equally AMAZING Stampin’ Up Demonstrator Promotion that runs at the same time. See my post HERE that explains the details. I would love to answer any of your questions, friends. 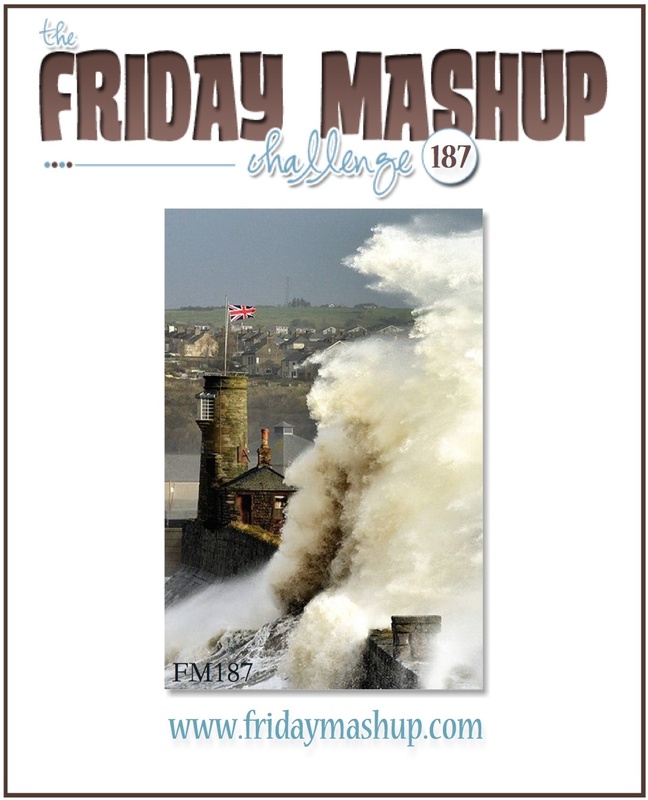 The Friday Mashup # 187 will run for two weeks because of the Thanksgiving Holiday. So, we are expecting a “flurry” of activity in the gallery! 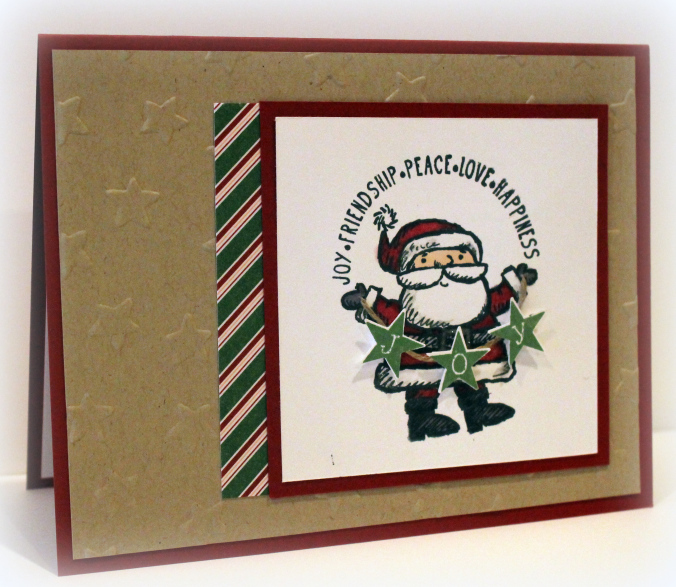 Just a Clean and Simple card- so if you need a Christmas Card idea- this is a quick one, friends. 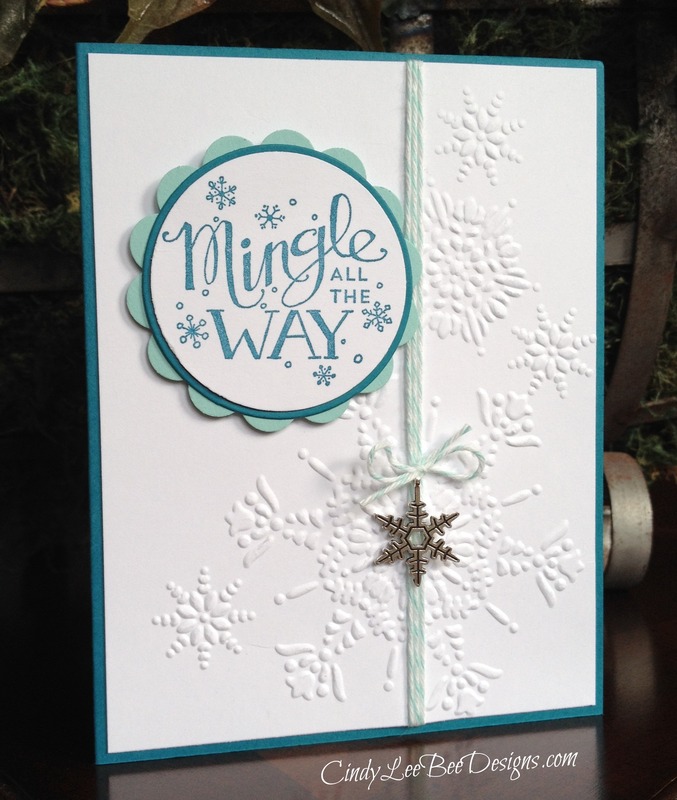 I used the Northern Flurry embossing folder to fill in the white space on the card. The SU 2″ circle punch worked well to cut out the sentiment and the 2 3/8″ scallop punch bordered the image in Pool Party but I did use a Nestabilities Circle to cut out the Island Indigo in between them. It just gave it a little more pop with the extra circle border. and I wanted you to see what is the best route for you to go as a crafter. Read on and see if it speaks to YOU…. As I have shared before, you can be a hobby demonstrator or a business-building demonstrator. 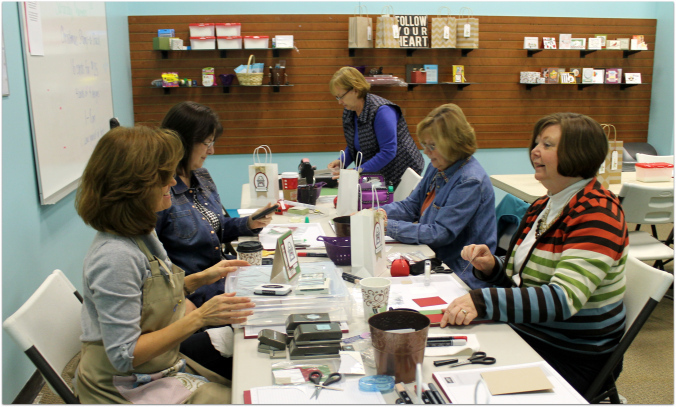 Both demonstrators receive the same benefits from Stampin’ Up. I first signed up as a hobbyist for the 20% discount on all my orders but soon found out I wanted to share my hobby with others…and I did…with you all! How blessed am I? If you are someone who tends to invest regularly in your hobby, signing up as a SU demonstrator may be for you. And, the upcoming promo is DEFINITELY a good one. November 24th and ending on December 2nd. You order $125 worth of product and only pay $75 with Free Shipping on the order. After that, you sign up with your own account and order as you wish! In the first 45 days after you sign up, you get 30% off of a $150 qualifying order. *However, during this promo, if you do your first qualifying order in the month of December, you will get an extra 5% off- so that’s 35% off. 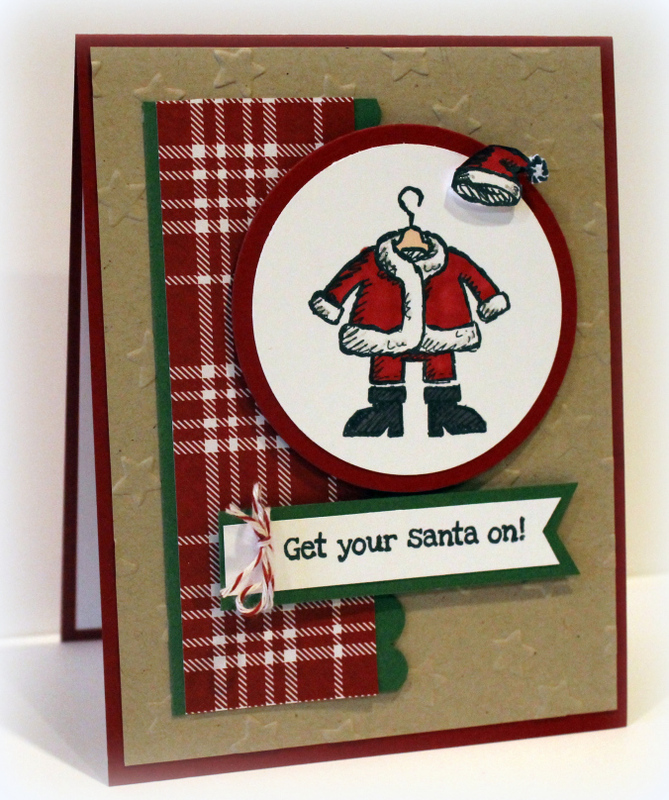 AND- you get to “preorder” from the new 2015 Occasions Catalog and earn Sale-a-Bration rewards early on December 5th!! You are under no obligation to do anything after your initial $75 investment where you get the $125 worth of product. If you choose to just enjoy the products and not do a quarterly minimum, you will simply fall of the grid with no one bothering you whatsoever. If you want to continue with the 20% discount benefit and other perks, like early catalog releases, you need to reach a quarterly minimum of $300 (which is at a 20% discount.) You can order as much or as little as you want on any order totaling at the end of the quarter to $300. You can also earn Hostess Benefits when you purchase, too. Some of you are doing this now. As of this date and SU policy, signing up now (Nov. 24- Dec. 2), you have until March 31st to reach that minimum. You sign up for this promo under me as your upline HERE, and I will support you as you want or need. You know me well by now, and we will continue to build our relationship through quarterly downline meetings sharing ideas. If you are long distance, no fear- you will not be left out of the fun. You may or may not ever want to be a business demo but if you do, I am here for you. As a business demo or a hobby demo, you still get to join in the SU family and continue to attend all the fun classes we have at the Condo and the Mills Mall! You will also have access to my upline Linda Heller, her awesome complimentary team teaching site, and a fun Facebook group as well. As I said above, as a demonstrator, I try to inspire and serve you as you need. This includes keeping you abreast of all the products SU offers and the new things on the horizon. I would be lacking in my responsibility if I did not share the opportunity SU offers you as a hobbyist or a business building demonstrator. Every month (actually, every day) I am overwhelmed with gratitude for the girls who attend my classes. 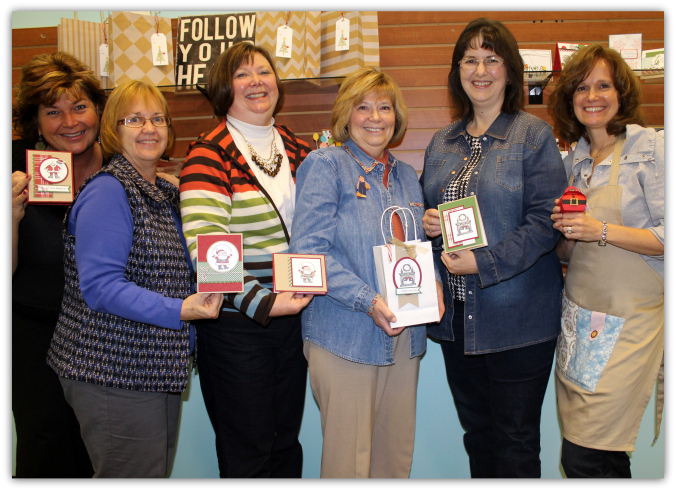 I am truly blessed that they have taken time out of their busy lives to craft with me as their friend and demonstrator. As a little show of my appreciation, every month I make a favor for my girls. 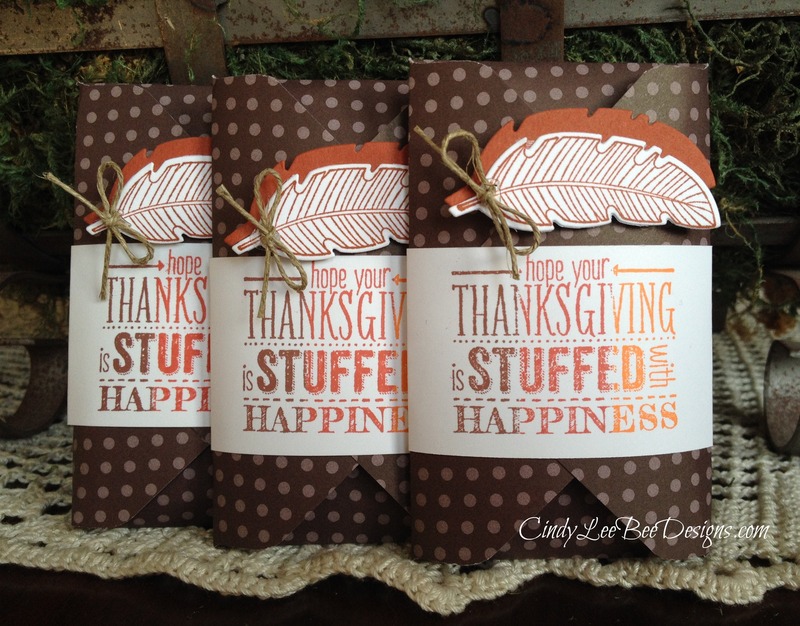 For November classes, I made these Thanksgiving favors for them, and I am sharing them with the fabulous team over at The Paper Players #222 this week. 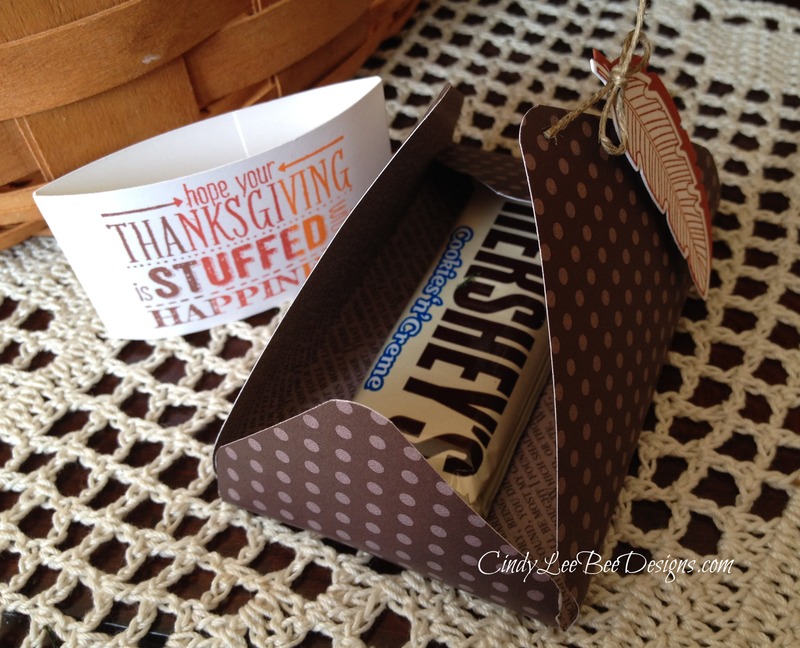 I used the envelope punch board “Gift Card” measurements using a 5″ square piece of DSP and stuffed them with a small candy bar. 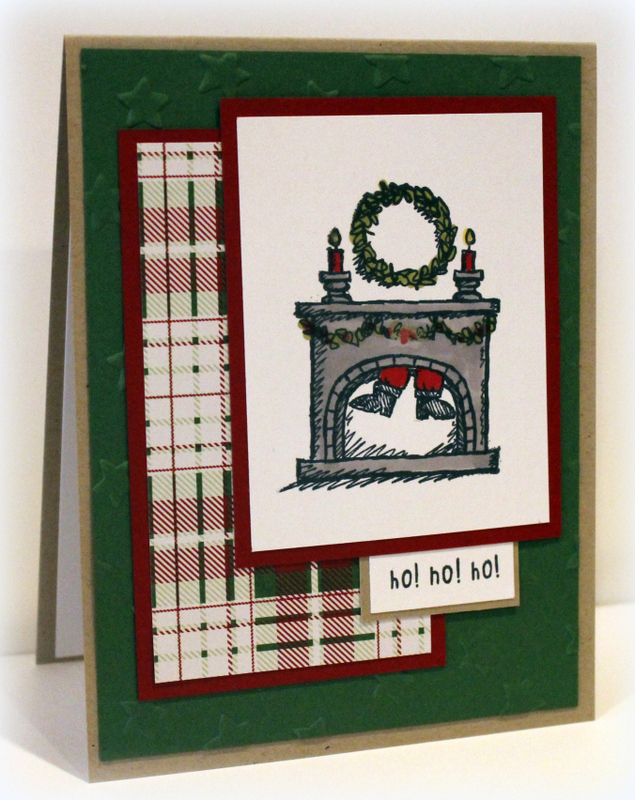 I used up a bunch of “leftover” white cardstock from another project to create the belly band, too. The girls would be proud! I stamped the cute sentiment from the SU Mingle All The Way stamp set with an old but still juicy Autumn Leaves Kaliedacolor inkpad. I added Cajun Craze inked feathers from the SU Four Feathers stamp set that were a breeze to cut out with the coordinating framelits! A simple twine bow applied with a glue dot finished off the favor. These were really simple to make- and I was glad to since I made 44 of them! 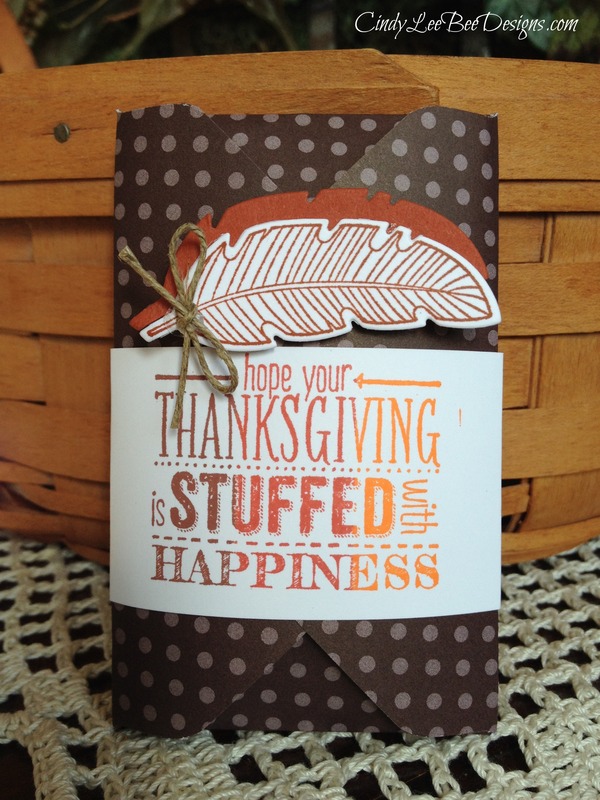 You still have time to make them for your friends and family at your Thanksgiving festivities! Here are three stragglers left behind…who knows who will get one- maybe Mr. Brown (Bob) when he drops off my SU order today! 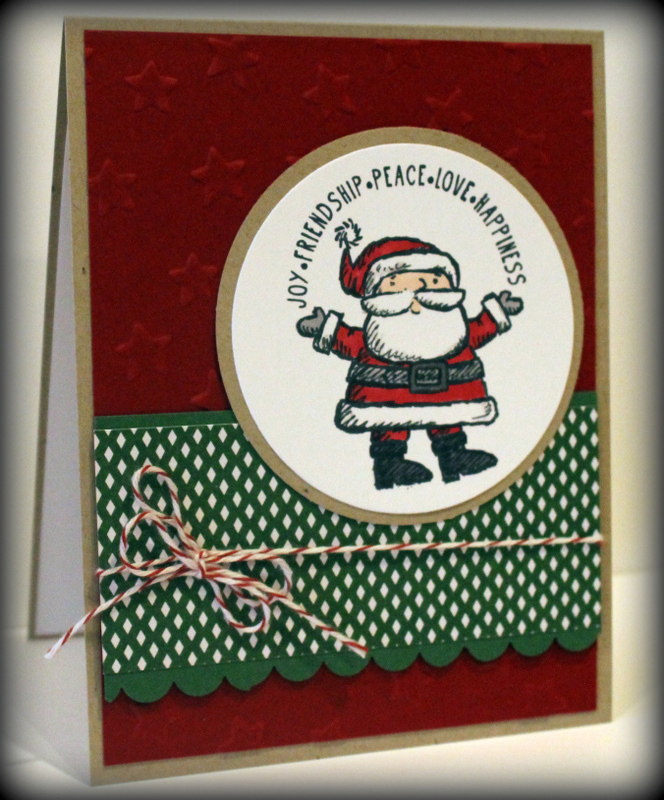 Enjoy some stamping today, friends!